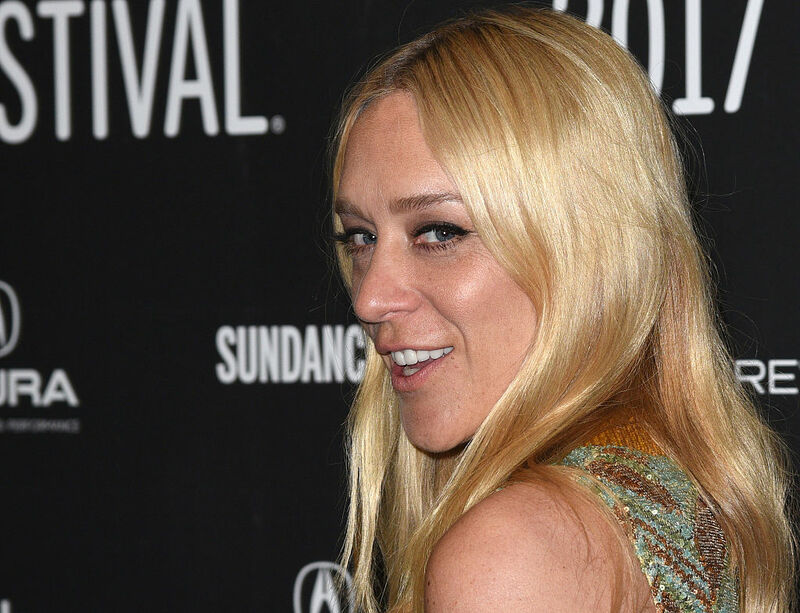 Chloe Sevigny is always willing to take big risks on and off the red carpet. The talented actress has played all sorts of impressive and complicated roles throughout her career. All of her characters have a confidence and boldness that clearly comes from the actress’ own personality. And that boldness makes her a fashion force to be reckoned with. Never afraid to try something new and different, Chloe was absolutely glowing at a Sundance premiere while rocking a stylish minidress. The short turtleneck dress was covered in teal and gold sequence. And it’s legit making us want to head out for a night of funky dancing. Because the dress is such a loud statement, Chloe kept the rest of the outfit subtle. Her hair was simple and down. And she accessorized with all black everything. The colorful sequence, playful pattern, and short cut are jam-packed with as much personality as the actress herself. Chloe was attending the Sundance premiere of Beatriz at Dinner. 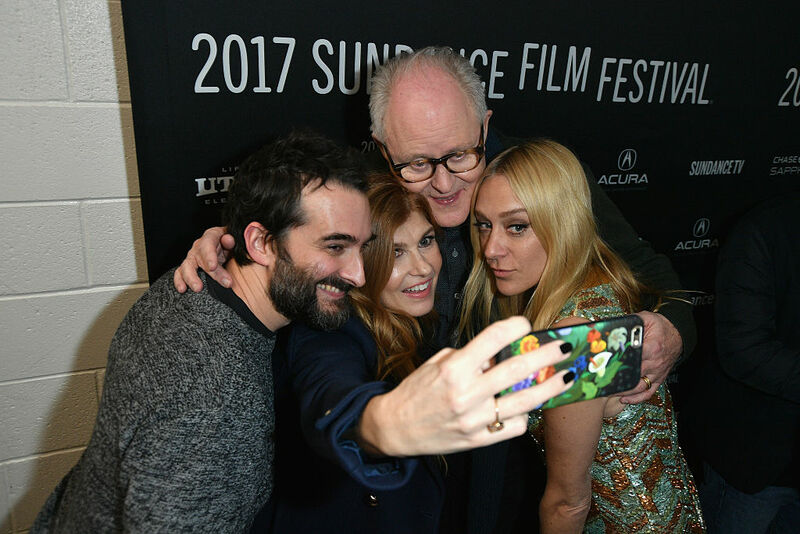 She, Salma Hayek, John Lithgow, Connie Britton, and a powerhouse ensemble cast, star in the quirky comedy. And even though she was totally ready for professional pictures on the red carpet, she paused to pose for some selfies with the rest of her cast. Beatriz at Dinner has a simple storyline. It follows what happens with a holistic worker’s car breaks down and she crashes a rich family’s dinner party. But the jokes and humor that you can already see from the trailer proves that this film is anything but simple. It looks colorful, fun, and playful – just like Chloe’s dress.